Robin was born and raised in Allentown, PA, in a lower middle class home, the daughter of a steel worker and a stay-at-home mom. The youngest of 4 girls and one boy, Robin was a tomboy who was outside most of the time and swimming almost every day in the summer at the local public swimming pool. She still especially loves the water and going to the beach, and she really loves roller coasters! In high school, Robin played volleyball for 4 years, and she also played tennis and ran track. Attending church faithfully with her sisters and eventually her father was a big part of her growing up years. She attended Liberty Univ. but for her second year, she transferred to Lehigh County Community College, earning an associate’s degree in mathematics there. She then became the first in her family to go to a four year college – Kutztown University – and earned her bachelor’s degree in Secondary Ed – Mathematics. And since Kutztown, she has been working toward her level II teaching certificate, so far earning 36 credits beyond her bachelors degree through different universities. Robin has been teaching for Cecil County Public schools for 12 years, and now is in her 9th year at Rising Sun High School, which she really enjoys, particularly the interaction with her students. At RSHS she teaches Algebra II and Geometry, and she also chaperones volleyball games, attends prom and graduation, and often stays after school to help struggling students. Robin was very close to her dad and felt privileged to become one of his caregivers when he became ill in 2008 and until his passing in 2012. She also then cared for her mom until her passing just a year later. Those were very hard times, but Robin is thankful for that extra special relationship she had with her parents. Being a teacher allows Robin the time to pursue her love for people and love of adventure to travel to other countries. She taught school for a year in Venezuela, and has been on 7 short-term trips, serving in such places as Hungary, Mexico, Romania, and the Ukraine. 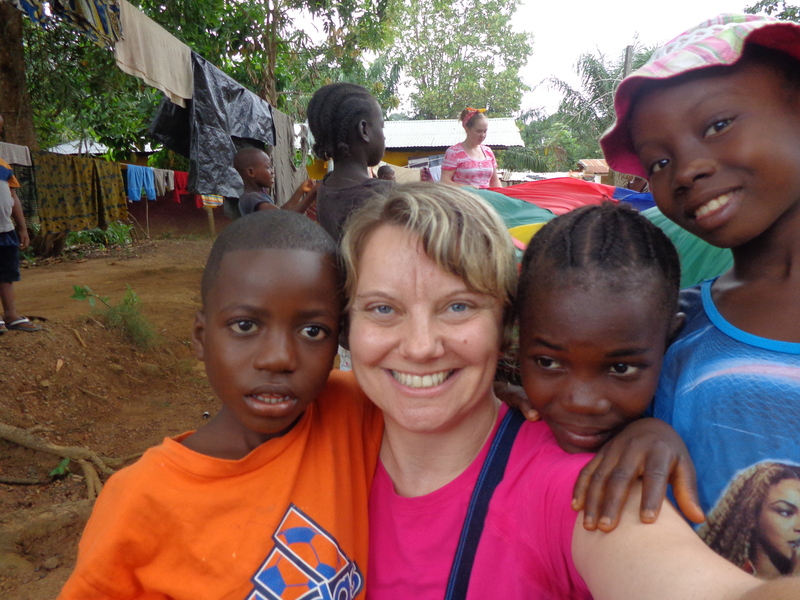 She has served on two Compassion Corps teams, first in Morocco and then in Liberia. On all of her trips she has enjoyed working with kids or teens, and she looks forward to increased involvement with orphans in particular with Compassion Corps, and maybe teaching again long-term overseas. We are excited to have Robin on our team, assisting in special events and fundraising activities as a development associate, as well as using her teaching experience to help us train teachers in Africa. Robin loves Jesus, and His joy in her enables her to bring smiles and encouragement to everyone she touches!